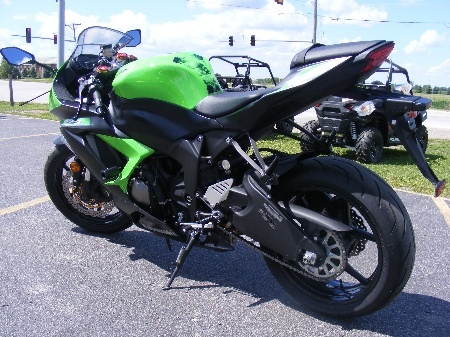 With only 1000 miles, and not a scratch to be found, this Kawasaki Ninja is one clean used bike! This middleweight Super-sport shoots to the top of its class, with an extra 37 cc's, Kawasaki's traction control, and two different power modes. The extra cc's provide a meatier mid-range, and provides a smoother feel at those higher rpm's. 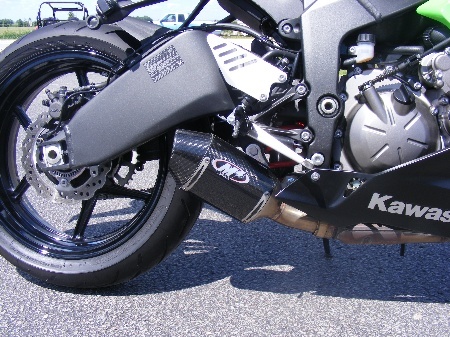 Kawasaki's traction control (KTRC) has three different settings, ranging from no assist, to heavy input. This 636 also has two different power modes. One mode is full power, which unleashes all the go you could want. The second mode is low power. When in low power, you will only receive about 80% of what the bike can do. The low power mode is great for those easy evening rides, or cross town commuting. This Ninja has an aftermarket M4 exhaust, and frame sliders. Stop by with your trade, or take a look at our low rate, long term financing, right here on our website! This bike has VERY low miles, was adult owned, and is priced under book, so you should act now, before it's too late! What’s in a number? Only everything. 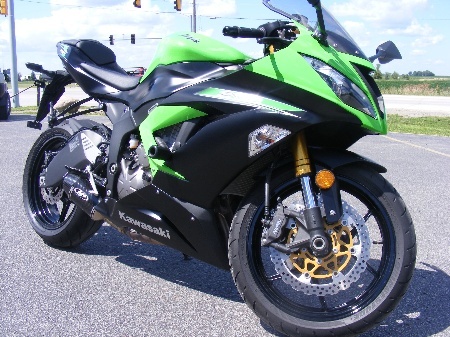 Six percent may not sound like much, but it is the displacement advantage the 2014 Ninja® ZX™-6R supersport has over the rest of the 600cc class. This performance advantage began over a decade ago with the first 636, a revolutionary machine that blew-away the competition’s 600’s and won races against factory 750’s on the track. 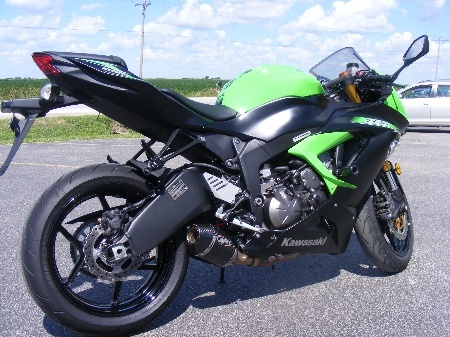 The 2014 ZX-6R continues family tradition of racetrack dominance and unmatched street cred with its physical embodiment of the family slogan: Performance Counts! • Ultra-fine atomizing injectors help ensure complete air-fuel mixing and maximum combustion efficiency. Precise tuning contributes to reduced emissions. • Lightweight EK 520 RMX/3D x-ring drive chain is very compact and uses lightening holes on the inner link plates to reduce weight. • Three-mode KTRC traction control combines the best elements of the Ninja ZX-10R S-KTRC and ZX-14R/Concours™14 KTRC systems. • The system uses minimal hardware supplemented by advanced software. In addition to the engine’s ECU, the system only requires front and rear wheel speed sensors, meaning minimal additional weight is required for traction control. • SFF-BP design offers much easier adjustability, by locating all adjusters in the caps at the top of the two fork tubes: preload on the left; compression and rebound damping on the right. • An adjustable Öhlins twin-tube steering damper is available as an accessory, to help ensure stable damping performance and superb kickback absorption, even under race conditions. Rake/Trail: 23.5 deg. / 4.0 in. Front Suspension / wheel travel: 41mm inverted Showa SFF-BP fork with top-out springs, stepless compression and rebound damping, adjustable spring preload / 4.7 in. Rear Suspension / wheel travel: Bottom-link Uni-Trak® with gas-charged shock, stepless compression and rebound damping adjustments, 25-way adjustable rebound damping, fully adjustable spring preload / 5.3 in.